Love is the law of life. It is God’s true nature and our own, and because of this out of all characteristics we most urgently need to develop and express to the highest point of our consciousness is love. Unfortunately, at its lowest level earthly love frequently manifests itself as possessiveness and jealousy that causes a great deal of suffering and pain to all involved. Yet, even such experiences are valuable because they teach us how not to love, and that is the beginning of learning how to love wisely. This shows itself as a willingness to make compromises and handling our relationships with tact and discretion, discrimination and tolerance, not only in our closest circles of family and friends, but also towards other people and eventually our whole race. This reveals to the wise ones in charge of us that we are unfolding in the right way and successfully moving forwards on our evolutionary pathway of mastering the drives and urges of our lower animal nature. Love has many different ways of showing its presence. Sometimes it is in the form of love for another human being or for life itself in all its beauty. Our own Christ qualities develop when, instead of ostentatiously doing good, we are just a good person, who loves helping others and insists on doing the right and honest things, and doesn’t shy away from them when this turns out to be the more difficult way. Love can be expressed in thousands of little ways like through loving and welcoming each new day and whatever weather it may bring, or the love we feel for the plants, flowers and little creatures in our garden or when we are out and about in other parts of nature, and each time we show our appreciation for everything that life brings us. Love can also reveal itself in being interested in all the minor things of daily life, as well as the sincere and true love that manifests itself as simple human goodwill, friendliness and kindness to everyone. All of these things bring us into harmony with the law of life and help us to slowly but surely enter ever more deeply into the radiation of the Great White Light, the spiritual Sun above and beyond the Sun in the sky above us, the Universal Christ. Whenever we love, our soul is quickened by Its radiation and our own inner Christ-consciousness is stimulated through the power of the blessing that then flows into our heart directly from the Christ. As our whole being gradually fills with ever more light and we become at one with the Christ, we evolve into a Christed one in our own right. And that is the message of the Christmas Story for our time. 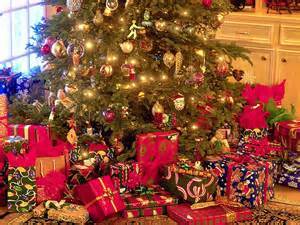 Regardless of the high degree of materialism that on the outer level has by now attached itself to the Christmas celebrations, it is coming about in quite a natural way that the spirit of this festival is getting an ever more powerful hold on God’s children of the Earth. Wise ones are aware that love has many levels and degrees of expressing itself, which can range from the lowest and crudest type of animal love to the highest and most heavenly kind. And that’s why the Christmas spirit shows itself in so many different ways. All of them are right and none of them are wrong, so the wise ones refrain from condemning any one of them and saying Christmas has become far too commercialised in our world. They have no need to look at it in this manner because they sense and feel that on the innermost level of life the desire to celebrate the true Christ-mass is increasing, although on the Earth plane this is manifesting itself in some strange ways and places. O Universal Christ, You are the true Christ. And the spiritual Sun behind the Sun in the sky above us. All worlds and every being within them. Understanding the true meaning of Your role in our lives. Is at last finding fulfilment on the Earth. 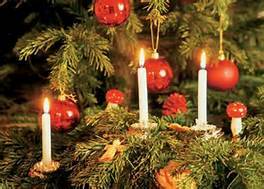 The twelve holy nights represent a particularly hallowed period. 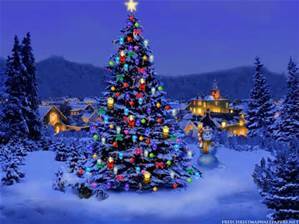 1) The three nights starting with Christmas Eve are the holiest time of all. Are wide open and invite all of us to take part in their Heavenly celebrations. Mother Earth, as she turns on her axis in space. Our true parents, the Great Father/Mother of all Life, has created. And all life she holds in her loving embrace. 2) The following four nights bring us to night seven. Than at any other time of the year. This is a time for contemplations, quiet reflections and meditations. Has ever helped to give your own life quality and purpose. How much they have ever meant and still mean to you. Are about grounding the energies we have receive. For new activities and beginnings. Review your life and consider which areas of it could do with changing. A more productive and positive one. Takes over the energy and that its value for humankind is spent. Throughout the whole of the coming year. Merry Christmas and a happy and peaceful New Year to each one of you. Today I would like to share with you the Christmas message for the year 2016 of the White Eagle group of spirit guides. It was sparked off by the Lodge Mothers seasonal greetings. The essence of her words provided the starting point, but the wise ones soon took over and here is the first part of the result. ‘When you entered earthly life you were crying and everyone around you was smiling. Your turn for smiling comes when you depart from your present existence and the ones around you, who do not appreciate what is really happening to you, are crying and have to wait until their time for a better understanding of the processes of life has come. May your spiritual awareness help you to live your life to the fullest. Isn’t it sad that to this day so many think that life finishes with the death of their physical body, when in truth there is no death and life is eternal and constantly moving forwards and upwards on the evolutionary spiral? ‘During the Christmas period human hearts tend to yearn and ache even more than at other times for some kind of contact with their loved ones in the world of light. Whenever such feelings threaten to overwhelm you, take comfort from knowing that all they have done is leave the darkness of earthly life behind. They are not dead but alive and well in the world of light where death does not exist. Take advantage that during the Christmas period the power of the Christ energies are felt much more strongly on the Earth plane than at any other time. This brings your loved ones closer than usual and the Christ love enables them to bring the gift of their love to your heart. ‘Our message at Christmastide is that all of Christianity’s festivals, including Christmas, are but one of the many ways the Angels around the throne of God, the Christ Circle, have been using throughout the ages to bring humankind closer to the events that are taking place simultaneously in their realm. ‘The Angelic hierarchy is the executor of God’s Great Plan of life. It is in charge of humankind’s spiritual development and welfare on all levels of its existence. The Angels and Masters on the highest level of life are the authority that knows how much Divine wisdom and truth different parts of humankind is ready to grasp and take in at any given time. Whenever it has reached the point that another part of God’s sacred wisdom and truth can be revealed, they are the ones who decide in what form it should be presented and in which part of your world it should be released. It is up the Angels when one of the old religions should fade away and a new take its place that can take our race another stride forwards and upwards on the evolutionary spiral of life. ‘During the Christmas period there is a particularly powerful outpouring of the Christ spirit’s energies into each individual heart and that of the whole of humankind. This brings a strengthening of the Christ qualities of love and wisdom, kindness and truthfulness, as well as spiritual strength to your world. And when the Christ light flows into human hearts, they increasingly feel the need to bring comfort and joy to those around them, in some form or another. 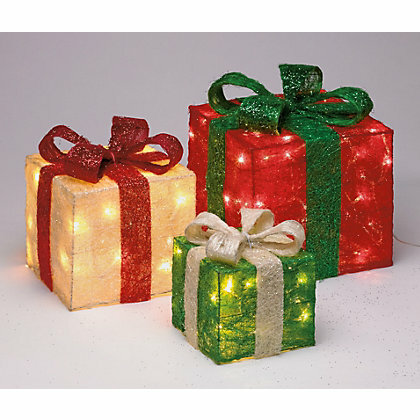 The flow of Christ light is a visitation and a spiritual baptism for the whole of humankind and that is the motivation for all Christmas gifts, greetings and feelings of gratitude. ‘Being aware of these things enables you to make an extra special effort to tune into the Christ energies’ hush and holiness. Refuse to dwell on the dark side of anything and do not look at tragedies like wars and other human-made disasters as well as natural ones, by what they appear to be on the surface of earthly life. Everything that has ever happened in your world unfailingly serves the wise higher purpose of teaching you something on an individual and collective level. Although every war is a crime against humankind and all suffering it brings about has to be redeemed at some stage, never forget that in their present existence all human beings can only ever see one side of the picture of the whole of life. ‘This changes as soon as you become aware that the background of your earthly existence the wise and loving power of the Great Father/Mother is constantly working exceedingly hard to bring nothing but good into your world and all others. 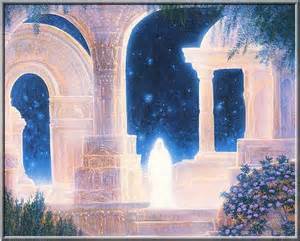 The Angels and Masters on the highest level of life and we, your spirit friends and helpers, are doing our best to encourage each one of you to endeavour to do likewise, at all times. The more the forces of your love and ours mingle, the more rapidly the power grows to change the remaining darkness of your world into light, until every last shred of ignorance has been transformed into wisdom and understanding. ‘Knowing these things, do not allow yourself to be dragged down by the darkness and ignorance you are witnessing all around you. Each time you see evidence of it, remind yourself that this too is but a passing phase in your race’s development that will disappear in the fullness of time. We hope that the knowledge we are bringing fills the hearts of our readers with renewed hope and faith, as well as tolerance and love for every aspect of your world. This will not be too difficult for anyone because these qualities are part of your own higher Christ nature, which is now stirring in ever more human hearts. The following is the essence of a Christmas Message from our beloved friends and helpers in the world of light. White Eagle acted as their spokesperson and brought it to me as the Lodge’s Monday Thought on 22nd December 2014. My most sincere and heartfelt thanks to all of you, dear Friends, who made this communication possible. Happy Christmas to you, too. ‘Dear ones, we are bringing you our message of love, good will and the renewal of hope, faith and trust to all of you. We know each one of you personally and we appreciate how hard, demanding and unrewarding earthly life can be at times. We want you to know that none of you have anything to fear, because on the inner level of life we are one with you and we are always with you. Today we convey to you our best wishes and hope that this Christmas you will know the joy of the true Christ Mass, which extends over the whole period of the twelve holy days and nights. This is something that can only be experienced and never be described adequately in the words of any earthly language. ‘Should you be on your own this Christmas and also if you can escape, if only for a brief moment here and there, from the merrymaking of those around you, in spirit you will not be alone – you never are. You will be in the company of us, your friends and helpers who already have the honour of sharing the glory of the Christ life in the world of light. 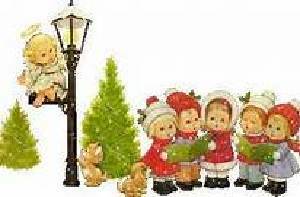 Your loved ones are very close to you at this special time of the Christ Mass, wherever they may be at present. When genuine love has ever existed between two people, there will never be any separation between their spirits. for bringing Its healing and peace to your world. ‘God bless you all, each one. Last edited by Aquarius : December 22nd, 2016 at 08:06. Today I would like to share with you the essence of a News Flash from the White Eagle Lodge at Christmas, which contained a teaching that was given a long time ago. Bearing in mind the ever quickening pace of our race’s spiritual progress since this teaching first appeared, it has been updated to do justice to that which is happening on the inner and outer level of earthly life now. ‘Two thousand years ago a new legend was given to humankind. Its role was to act as a messenger for the events that would be taking place in the Age of Aquarius, which by now are increasingly becoming a reality of Earth life. From the beginnings of human existence on this plane, in the days before Christmas and for some time after, the blessings from the highest levels of life have been pouring more powerfully than at other times into all aspects of earthly life. With each passing year the inflow of the Christ energies has become more powerful. ‘And today we have come to lead you in a meditation for this most holy event. We are here to celebrate with you the Christ-Mass, the birth of the Christ. 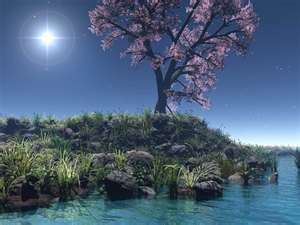 The awakening of the Great Light in all hearts is presently taking place in the realities of Earth life and in ever more of you the Divine spark of the Universal Christ is stirring from its slumbers. The legendary figure of Jesus has been a herald of the coming of the Great Light. The story of his life has been but one of the many interpretations of the myth that have been surrounding this event. Each one of them was given to your world by us, the wise ones in the world of light. Throughout the ages people have been celebrating the coming of the Christ in many different ways. ‘Now imagine in your mind’s eye that the Heavens are opening and the Holy Mother with the Christ child in her arms enters your inner vision. What you are seeing is the Great Mother of all life. In her loving arms she is holding a miniature version of the Great Light, the Sun of all Suns. Its radiance shines with undiminished force from the Divine child into the hearts of all human souls on both sides of the veil of consciousness that to this day separates them. ‘The Virgin Mary of the Jesus legend is a symbolism for the Great Mother of all Life. Her love and wisdom is the focal point and centre of all life on the Earth plane as well as anywhere in the whole of the created world at Christmas, the Christ Mass. Silently observe and breathe in the sweetness and kindness of the Mother and worship Her and the gift she brings to humankind, Her child. With each passing year it is newly brought forth to help human hearts and souls to become spiritually stimulated, so that they open in love and goodwill towards all lifeforms. ‘The Great Father is part of the Great Mother. He stands behind Her and puts His arms lovingly around the mother and their child. Sing with the Angels and worship with the shepherds. Greet and give thanks to the three kings, for they represent the sages in the world of light, who at all times are holding your hands to guide and protect you and to keep you safe. Kneel before your true King and Queen, Lord and Lady, Master and Mistress, and their only born Son/Daughter of the Great Father/Mother of all life, on the highest plane of life. ‘Sagittarius is the sign responsible for the development of humankind’s superconscious faculties. When the Sun moves through it from 22nd November to 22nd December in the run-up to Christmas, the Divine seed that to this day is still slumbering in many human hearts receives a renewed impetus to come alive and reveal its presence in the realities of Earth life. On the day of the Solstice, 22nd December, the Sun moves into Capricorn, the densest Earth sign of them all. It is also the sign in which the highest aspirations can be fulfilled and achievements brought about in earthly life. The energies of this sign bring the sacred fire of the Divine down onto the Earth. The goodwill and love that expresses itself in so many ways reveals that the seed of the Christ Spirit is indeed stirring in all hearts and souls, and that the holy infant is being born. ‘And that is whom you too have come to worship. To the wise ones in your midst, who have woken up to their true nature, the magic of the higher meaning that lies behind the surface words of the ancient story of the birth of Christ and the many carols it helped to bring into being never fades. Understanding what they have to say, the wise one’s hearts open wide to receive the Divine fire of love that flows more strongly than usual at this blessed time of the year. Invisible to earthly eyes, the Angels, messengers of the Highest, are standing by as the power, glory and light of goodwill shines with increasing force into all life on the Earth plane and fills every heart. The crib is the symbol of the most humble place on Earth: the human heart. And the light shines from the heart of the Divine Mother and the Christ, her Son/Daughter, in all its beauty and glory into each and every one of them. ‘Awakened ones do not complain that we are once more telling you the same old story. They know that we are doing it to remind you of the many symbolisms that have been hiding behind the words of the Jesus legend for such a long time. The Divine wisdom and truth they contain is waiting to sink ever more deeply into the consciousness of each individual heart and soul and through it your whole world. Being aware that the spiritual aspect of life is by far the more important one, wise ones refuse to put earthly concerns first. They prefer to concentrate on the profound truths the myth contains because they appreciate how essential they are for their own life and happiness as well as that of the whole of humankind. ‘We, your friends and helpers in the world of light, would love to describe the glory of the Heavenly realms to you, but using earthly languages this is impossible. And even if we could find the right words to tell you about the power and glory of the Heavenly hosts, most of you would not yet be able to grasp the meaning of what we have to convey about the power of the Highest, the Christ Star. In your earthly existence it can only be perceived by calling upon and practising it in your daily lives. It is something that cannot be known with the help of words or pictures. It can only be sensed through the feelings of love and siblinghood towards each other and your whole world that rise from the deepest innermost core of your being. ‘We would like you to know that many of those who have left their physical bodies behind are with you in spirit. Those you have loved and still love and remember are gathered here tonight. 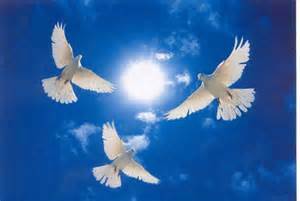 May you feel their presence as well as that of the Angels and Masters, and all other spirit guides and helpers. All of us together are sending heartfelt greetings and wishes for each one of you on the other side of the veil of consciousness. We invite you to join in the feelings of happiness and gratitude about the gift of life that has been given to us, and our common fate and destiny. ‘Know that every human soul, who is endeavouring to grow in saintliness and inner beauty of spirit, is making a valuable contribution towards creating a new and ever more peaceful and beautiful world by bringing God’s Kingdom onto the Earth. The highest potential of all who are presently participating in earthly life is to evolve into healers and bringers of God’s light and wisdom. And that, dear Friends, is the way, the light and the truth for every one of God’s children of the Earth. Whether you are as yet aware of this or not, each one of you is a child of the Christ Spirit who forever has its being in the radiance of the Christ Star. ‘The healing you are seeking is of the spiritual kind, but it can only be found through the power of your own spiritual aspirations. When your thoughts and whole being are truly aspiring to the light forces of the Universal Christ and tuning themselves into them, Its rays can flow into your loving heart without any hindrance. 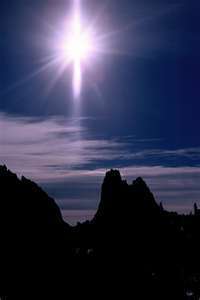 This awakens the Christ seed and soon you begin to feel how the rays of the Highest light penetrate ever deeper and with increasing force into every cell and atom of your physical body. Last edited by Aquarius : December 22nd, 2016 at 08:08. O Great Spirit, Father/Mother Creator of all life and Your only born Son, the Universal Christ, we pray that every heart and soul in both our world be opened wide to receive the blessing and healing power of Your wisdom and love. Grant us the gift of finding rest and healing in the presence of You and the Angels around Your throne. here to show us how we do NOT want to be. Happy Christmas to your and yours. It is the night of our true Saviour’s birth. Till the truth about it appeared and all souls feel its worth. Of the Holy infant and the manger. In all human hearts from the moment of their creation. Will forever be our Divine helper and friend. And helps us to transform them into strengths. Before whom we lovingly bend. This part of our nature is teaching us to love one another. Its law is love and its gospel peace. The chains and shackles of false beliefs are falling from us. To exploit, oppress and take advantage of anyone. To Thee, O Universal Christ. We sing Thy praises and bless Thy holy name. Thy name shall forever be praised. Thy power and glory for evermore we proclaim. 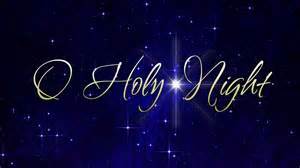 O night Divine, O night, O night Divine .